If you’re already a self-published author you know, that writing is the easy part. Marketing and selling your books is much, much harder. If you haven’t got to the marketing point in your writing career now you know. Marketing is not usually the fun part of an author career we all love. Though if you want to sell books, then it’s something you need to execute. Since the self-publishing gravy days of 2009-2013, the process of earning a living as a self-published author has become increasingly difficult. Self-publishing is a low barrier industry and so, of course, that makes for a lot of competition. Over the last few years almost everyone who wanted to publish a book has. Most won’t do it again so what’s awesome for us career minded actors is we’re in it for the long haul, and we WILL prevail. However, don’t despair. Remember there’s an average of a million Ebooks a day sold on Amazon alone. The book industry is a very large pie with plenty of pieces for everyone to share and make a living. Think about it this way. If 1 million books per day are sold, let’s say one of those books is yours priced at 2.99 which is a $2 royalty. You only need to sell one of your books on one day to 25% of those people, and you’ll make a half million dollars. The catch is you need to promote and get yourself out there so those 250,000 people will see your book and want to buy it. That’s the challenging part. So what are some ways to promote your books? Say what you want about Facebook, but in my demographic (female 35 to 60) Facebook is THE place to be. If you don’t know your demographic then here’s a great resource to find your target audience. You want to focus your interaction on the social platform your audience lives. Many authors do great on Facebook but don’t assume you will too. Do your research. Participate in author and reader Facebook groups. You should have an author page (if you don’t go make one right now) to interact with your fans and building your fan list. Keep the blatant promotion to a minimum and try for more interactive posts. You can ask questions of your audience, answer questions, share things you like such as other authors or things relevant to what you write. The goal is to get people to interact and get to know you. Facebook ads are also worth the investment, but you want to have a marketing plan in place, so the ads are purposeful. A street team is one that did very well for me for years and then when I took a step back in 2014-2017 kind of dwindled. Now I’m working to build it back up again. There are so many things that a team of people who like your books, and you, are more than willing to help you reach your success. A street team can serve as beta readers, give you feedback on promotions, help you execute promotions, and be your cheerleaders when the author life gets rough. Paid ads are a slippery slope. Sometimes you can make a killing off a small ad investment and sometimes you can lose your shirt. Book Bub is probably the most successful, and one of the most expensive ad services out there. Though from my own experience and what I’ve seen the best ROI. Free Booksy is one I use often. It’s much less expensive, and while also not as successful as Book Bub it has earned me my money back, and any new reader is worth it. You want to have a goal of what you want out of these paid promotions. Don’t think of it all in money terms. Personally, I’m about breaking even and gaining new readers who will benefit me the next book I release. Even if I don’t break even new readers will make that back long term. Book Funnel and Book Sweeps are 2 services that allow you a way to give your book away for free. Either alone or with a group of authors, in exchange for gaining email addresses. Self-publishing is a business, so you want to treat it as such. This is a great way to build up your FB author page, your street team, your email list and create a fun atmosphere for your fans. It will get them excited and talk about it to their friends. My last contest was a cover voting contest. I promoted two different covers for my upcoming book and let my social media audience choose which they like better using hashtags. It created a buzz, and I picked up several new email subscribers. It was a no cost contest with a huge return. People like to have fun, and a contest gets them engaged. 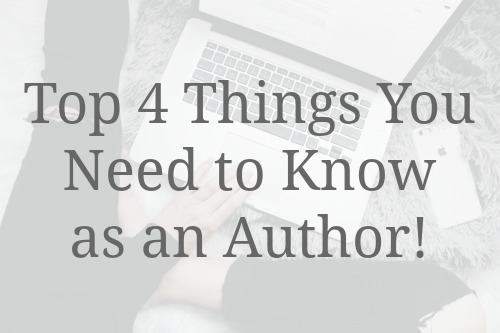 This one might seem simple and almost a duh thing, but you’d be surprised (or maybe not) at how many authors don’t talk about their books out in everyday life. Be proud that you’re an author and tell people about it. When you’re sitting at a coffee shop working on your manuscript, and someone asks what you’re doing tell them. Use it as an opportunity to tell them about your books, what they’re about, and how they can buy them. It might be hard at first, but you should be proud of what you’re working on. Even if it’s your first book, it’s never too early to start building a fan base. I would love to hear from you how you’re promoting your books.